Flag Day represents liberty. Get to know the facts about Flag Day. Liberty and Flag Day, What’s it all About? Flag Day is about celebrating liberty and remembrance. Liberty is defined as” freedom from control, interference or physical restraint”. Jesus spoke of liberty. He came to “make you free” (John 8:32). 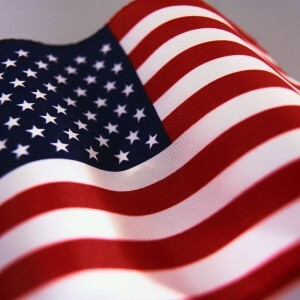 Flag Day represents a day in which we honor our country by honoring our country’s flag. The American Flag symbolizes liberty to all. How did Flag Day begin? The flag of the United States of America was born out of a Revolution in 1977. It has remained the same except the addition of a star for each state added to the United States. What do the colors and symbols represent? The 50 stars represent the states of the United States. The 13 stripes represent the 13 original colonies. The red is said to represent valor, the white to represent liberty, and the blue to represent justice and loyalty. Who made the first American flag? Reportedly, Betsy Ross sewed the first flag by hand in 1776. Why June 14? That was the day in 1877 the the adoption of the American flag took place by the Second Continental Constitution. President Woodrow Wilson made a proclamation in 1916 that made June 14 Flag Day. Flag Day is not a federal or state holiday except in the state of Pennsylvania. What are the American Flag’s rules and regulations? Visit US History.org for details.